A serious injury can change every aspect of your life. It can affect your ability to perform daily routine tasks, work and other normal life experiences. As an injury victim, you may suffer from disabling injuries, scarring, loss of enjoyment of life and depression, as well as many other accident-related conditions. If you have been injured as the result of an accident or negligence, you may need the assistance of an experienced personal injury attorney. Sacramento based personal injury attorney Attorney Nicholas K. Lowe may be able to recover monetary compensation for your injuries and accident-related expenses to help you get your life back on track. He believes that you, as an injury victim, should be treated with respect and compassion in your time of need. Attorney Lowe will use every outlet available to make your personal injury claim as easy and as quick as possible, while providing you with the highest quality legal representation possible. Personal injury attorney, Mr. Lowe has been protecting the rights of seriously injured accident victims and their families throughout the Sacramento area since 1976. He possesses vast knowledge in all areas of personal injury law, including accidents, wrongful death, product liability and premises liability. 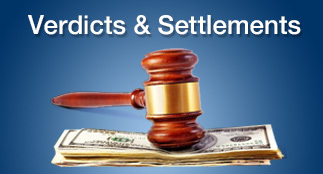 Attorney Lowe has recovered substantial settlements for seriously injured clients in Northern California. He is respected in the community for his integrity, aggressive representation, and successful case outcomes.